The Roku Box is an awesome piece of kit. Small, fast, reliable and cheap – everything you want from a media player. Setting up and using the Roku box outside the US to get American content requires a little bit of work. Read along to get a step-by-step guide. In order for this to work you need to register a US Roku account. You also need to be able to fake your location when using the US only apps like , Hulu Plus and Crackle. Both of these issues are fixed by using the Unlocator service. First sign up for a free Unlocator Account. Setup your router to use Unlocator by following the setup guide. Visit your account home on Unlocator to make sure you have 3 green check marks in your account. Disconnect the Roku Box from the Internet. Visit https://owner.roku.com in your browser and choose USA as your country. US zip codes have 5 digits and you need to compose a zip code of 5 digits from your own zip code related to your credit card. Here is an example: My zip code is 1711 and my new “US” zip code is 01711. If you zip code is A2 B3 C4 then you take the numbers and make your own: 00234. Now perform a factory reset of the Roku by going to the Home screen, press up, select settings, select factory reset, select factory reset, select yes. Your Roku will now be reset to factory settings. Now setup your Roku again and reconnect it to the network. The Unlocator service will from now on always make sure that the apps think you are located in the US when streaming. You can use most of the large US apps like and Hulu Plus and more are added all the time. Unlocator is a DNS service tailored to unblocking content like , Hulu and other popular services. When you visit https://owner.roku.com the Unlocator makes you appear as connecting from the US. That is why you will be able to create the US account. Next the service redirects location checks from the US apps on the Roku so you once again appear to be located in the US. The beauty is that only the data requests regarding location are rerouted – as a result your Internet speed remains the same. Since all you have to do to use the Unlocator service is changing a couple of network settings, you can use it with just about any device that supports . The list is still growing but at the moment you can use the service with your browser, IOS devices, Android, PlayStation 3, Xbox 360, Smart TV, WD and much more. I suggest changing the networks settings on your router as this will unblock all devices connected to the access point. Besides the Roku does not allow you to change DNS directly on the machine so changing DNS settings on the router is the only option if you have a Roku box. 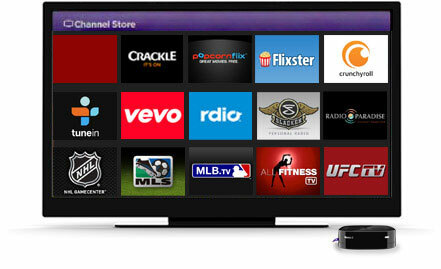 Anyhow if you want to enjoy the US content on your Roku then this is the way to go. It’s free to try so go create a free trial and test it out for yourself.